I have to admit I had a bit of trouble with X. Until I discovered Xanadu. Xanadu, or Shangdu, isn’t actually in Jerusalem. It’s not even anywhere near Jerusalem. It’s in Inner Mongolia, China. But… there’s a link. Marco Polo, the Venetian explorer (or should that be x-plorer?) 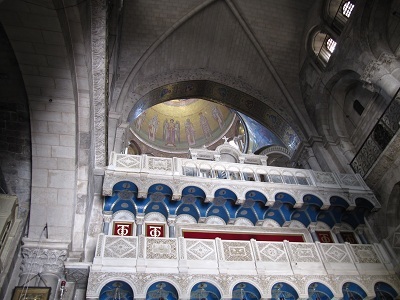 is alleged to have made a journey from the Church of the Holy Sepulchre in Jerusalem to Xanadu. Good question. I don’t have an answer. I suppose in the 13th century it would have been a fairly difficult journey. 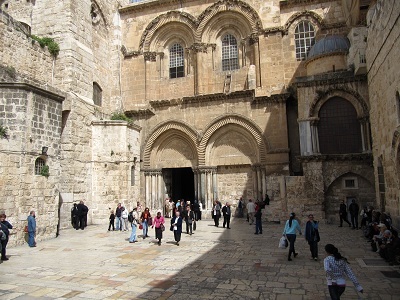 Anyway, it gives me an X word and an opportunity to post a couple of pictures of the Church of the Holy Sepulchre. Well done you! I wondered how you would cope with the X and you have Z to come. Can’t wait for that. Thanks, David. Z is no problem – except that I haven’t taken the photo yet. I loved the way you linked the prompt to your topic! 3 cheers!